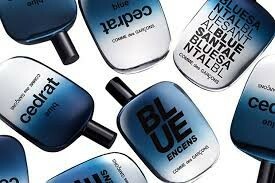 Part of the Summer 2013 Blue Invasion Collection which includes three "blue" fragrances—Blue Encens, Blue Cedrat and Blue Santal in characteristic flacons colored in blue, iridescent from the darkest to the lightest shade. The new perfumes are created to accentuate radical contradiction providing a mixture of luxurious warmth and sea freshness. The olfactory evocation of the fascinating paradox presents the blue color as timeless and very intense in three different ways. 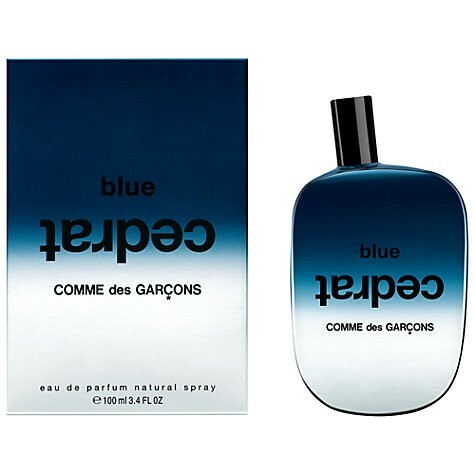 Blue Cedrat eau de parfum is an unexpected alliance of fiery Virginian cedarwood with metallic rose and a zesty, bitter quinine accord. Embrace contradiction and let yourself be taken over by the blazing intensity of Blue. Notes: Italian cedar, bitter quinine accord (juniper berries, Angelica roots), metallic rose, Virginian cedarwood. I love the quirky packaging and unusual scents from this company. This is lovely woody yet with a hint of freshness from the citrus. It lasts a good long while on my skin and everyone comments on the lovely scent I am wearing when I have this on. It is marketed as for males but is really a unisex scent that appeals to both equally. I wish they were not so expensive as I would collect them all. Pleasantly surprised by this fragrance. It had an unexpected powdery rose softness that worked well with the other notes. A woody & powdery fragrance with a hint of refreshing citrus. Long lasting. More woody than citrus despite being described as a citrus fragrance. A refreshing woody fragrance that's suitable for day or evening wear. "I love the quirky packaging and unusual scents from this company. This is lovely woody yet with a hint of freshness from the citrus. It..."